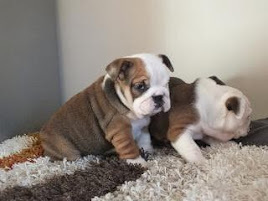 According to bulldoginformation.com, in general, the qualities most often mentioned about English bulldogs are "faithfulness, stubborness, protectiveness and devotion to loved ones." The intelligence of the bulldog is often questioned. A friend of mine was watching Lucy while I was on vacation, and she said the dog wouldn't come when she was called. It's not that Lucy isn't smart (however, this is definately questionable), it's actually her stubborness shining through. Lucy didn't want to come because she was too busy being lazy and didn't want to go outside. What appears as stubborness is actually the ability to prioritize. A bulldog won't jump at your command, but evaluate it. 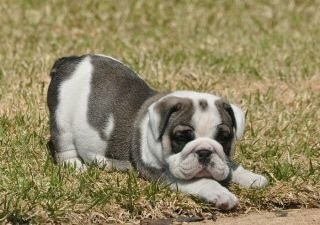 The idea that the bulldog is lazy probably developed because of their exaggerated features. 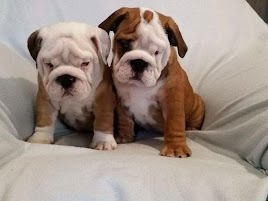 If a prize were awarded for companionship among dog breeds, the bulldog would win the gold. They will do anything to make you laugh, and they are wonderful with children and the elderly. They are sensitive to your moods; when you are happy they are perky. Part of their charm is that they look tough, but really aren't at all. Most bulldogs are brave and will guard and defend their owner if they are threatened. If you are looking for a full-time body guard, however, it's probably not the right breed for you. My house was broken into once when I wasn't home, and Harley was laying on the couch, unmoved by the strangers who had broken a window in the living room and trashed all the bedrooms. He was always very friendly with strangers. 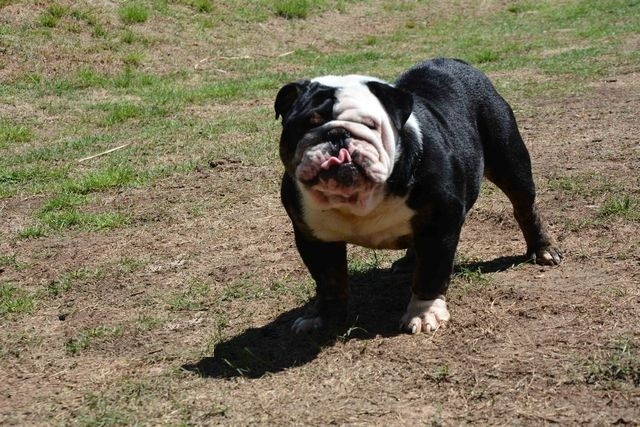 There are some common traits about bulldogs that I think every new owner needs to know. The saying "They are so ugly they're cute" is definately true. They smell-- a lot. They drink gallons of water and trail it all over the house. They lick, and they chew everything. I think these traits give the dog character and personality. They make you laugh! a good couch to sleep on, like the snoring dog in the video below.